And it’s a mutually beneficial partnership produced by Mirrored Media. 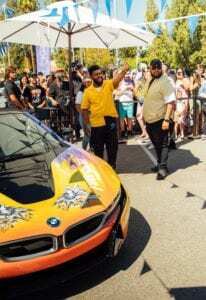 Khalid admits to getting ideas for his music while on long drives in his BMW i. “I love road-tripping, hopping in my car and driving back home to El Paso is 12 hours each way from L.A. To me, BMW, especially BMW i8, is the embodiment of freedom on the road. I really feel like a free spirit when I’m driving and listening to music. 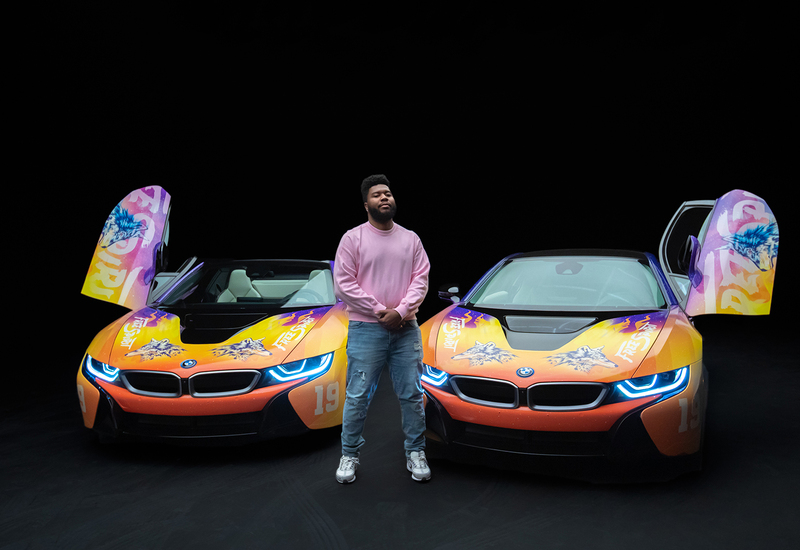 I love making music that you can crank up and drive to with the windows down,” Khalid said in a press release. 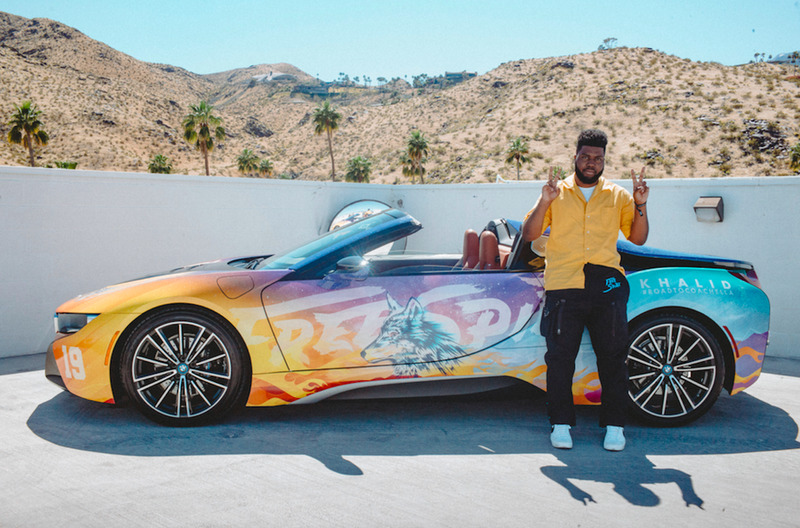 And Khalid isn’t the only A-lister heading down to Coachella in a funky car. 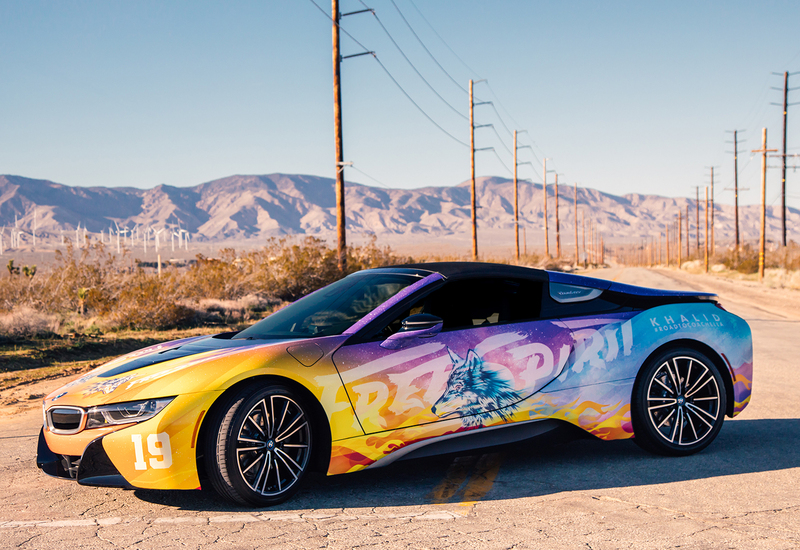 ParisHilton, Lena Gercke, Laura Marano and other influencers will be traveling to the venue with BMW i a day before the festival begins to experience while exploring Palm Springs. BMW i is supporting the event throughout weekends 1 and 2 from April 12-21. Mirrored Media is excited to announce that we have won the 2019 Agency of the Year award by Eventex Awards. Founded in 2009 to celebrate creativity, innovation and effectiveness in the industry, today Eventex Awards is the most coveted and recognizable competition in the world of events – a true symbol of high achievement and excellence. WHO: Erin Davis (son of Miles), Cheryl Davis (daughter of Miles) and ​Vince Wilburn, Jr. (nephew of Miles), representing Miles Davis Properties, LLC. Featuring live performances by Miles Electric Band, Micah Nelson/The Particle Kid featuring Sunny War, David Wax Museum, Dos Santos, Striking Matches and Cedric Burnside. WHAT: Miles Davis House is an annual SXSW day party hosted by the Miles Davis family and featuring a wide cross section of multi-genre emerging talent, the next generation of musical disruptors. In the spirit of Miles, the celebration promotes music, art and cultural progressiveness. Kind Of Blue Scotch Whisky and specialty cocktails will be served. A new Miles Davis T-shirt will be available with original artwork by Francine Turk. The event is powered by Builder by Engineer.ai. Additional sponsors include Miles Davis Estate, Legacy Recordings/Sony Music Entertainment and Riviera Imports. Music is curated by The Miles Davis Estate and Andrew Leib, with production by Antone’s. Engineer.ai is teaming up with the Miles Davis Estate to power the guest management platform for the event through its Builder product. Engineer.ai empowers anyone with an idea — from e-commerce platforms to social apps — to build it without learning to code. Combining AI+human developers to create a software assembly line, Builder delivers custom software products quickly, simply and affordably. As a result, an entire #BuilderGeneration — from individual dreamers, to entrepreneurs, to enterprise-scale solutions for businesses— is emerging and realizing their dreams. A technology partner for life, Engineer develops, hosts, and maintains custom software for its customers. Miles Davis House supports HOME, a non-profit 501c3 on a mission to renovate the childhood home of Miles Davis. Based in London and Los Angeles, Engineer.ai was created to empower anyone with an idea to build it without needing to code. Engineer.ai has already attracted hundreds of customers across the globe, from e-commerce and m-commerce platforms, to social apps, who have used the Builder platform to create products like BBC, DiditFor, Virgin, and Manscore. Engineer.ai combines AI+human developers to create a software assembly line that builds custom software products quickly, simply and affordably. A technology partner for life, Engineer develops, hosts, and maintains custom software for its customers. In 2018, the company secured a $29.5M Series A funding round, one of the largest in Europe. For more information on Engineer.ai and its Builder platform, please visit https://builder.engineer.ai. 12 noon – 6 p.m. Builder by Engineer.AI is your next generation partner for creating new apps and platforms. The Builder platform unites two essential engineering principles, building and operating, under a single common methodology. That’s why with Builder, you don’t have to be a coder to bring your next project to life – all you need is an idea. With this caliber of guest on the list, The Roots needed a platform that they could customize and trust. That’s why they collaborated with Builder to create a personalized platform that they were able to easily upload their list of attendee names into, with multiple different ticket types. 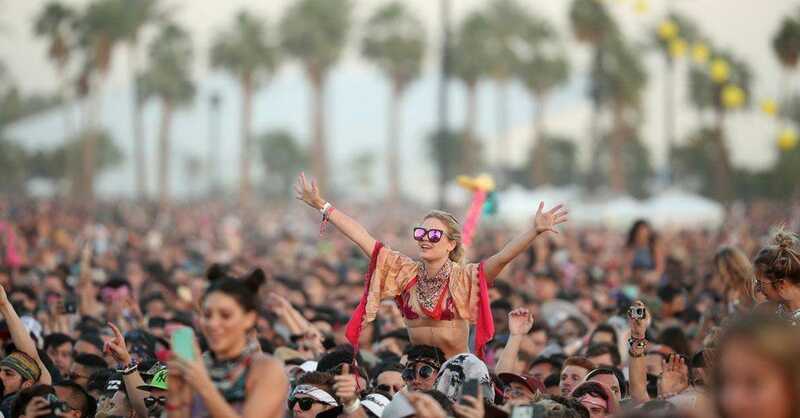 This new platform allowed the Roots to own the process from start to finish – as opposed to trying to work around a pre-built, generic RSVP platform like Eventbrite. Onsite, managers had admin access direct from their phones, while check-in staff raved about the ease of the platform and its ability to easily search guests by their first or last name and by the individual who invited them. Plus, with a one touch check-in, we kept the line moving while also ensuring that there were no accidental duplicates, repetitions, or errors. Mirrored Media is excited to announce that we are double winners for the 2018 Summit Marketing Effectiveness Awards. Our BMW i Road to Coachella campaign was chosen for platinum for social media and silver for online advertising and marketing. The Summit Marketing Effectiveness Award responds to a common need in the marketing and advertising sector: to acknowledge the contribution of results and messaging, and the achievement of the marketer’s business goals. The Summit Marketing Effectiveness Award is unique to other award programs because it reinforces that the goal of marketing communications is to change, influence or reinforce a audience’s knowledge, attitudes, or beliefs. Using this premise as a basis for its judging criteria, the competition is becoming a true arbiter of marketing communication effectiveness. During the 2017 event, judges analyzed submissions and selected only 6% to receive the top spots. A truly international competition, the Summit Marketing Effectiveness Award received submissions from the following thirteen countries including Australia, Canada, Denmark, England, Germany, India, Nigeria, Singapore, Republic of Korea, South Africa, Turkey, United Arab Emirates, and the United States. The Summit Awards organization is dedicated to furthering excellence in the communications industry. It administers three distinguished award competitions throughout the year with the goal of raising the awareness of companies and individuals who have the creative and marketing talent to go beyond the ordinary.